Heat oven to 450°F. 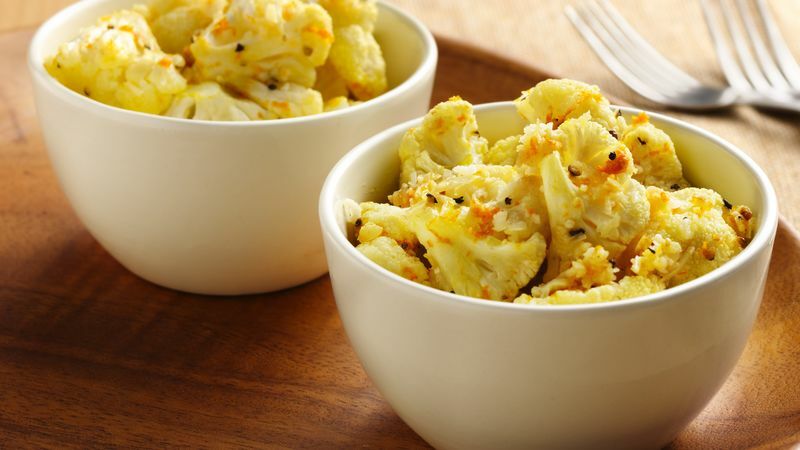 In large bowl, mix oil, salt, orange peel and pepper; toss in cauliflower until evenly coated. Place mixture in ungreased 15x10x1-inch pan. Bake 20 to 25 minutes; stir. Sprinkle with cheese. Bake 1 to 2 minutes longer or until cheese is melted. Shredded Parmesan can be used instead of the shredded Asiago. This vegetable dish would go great with seafood, including salmon, shrimp or halibut. Garnish with additional orange peel.